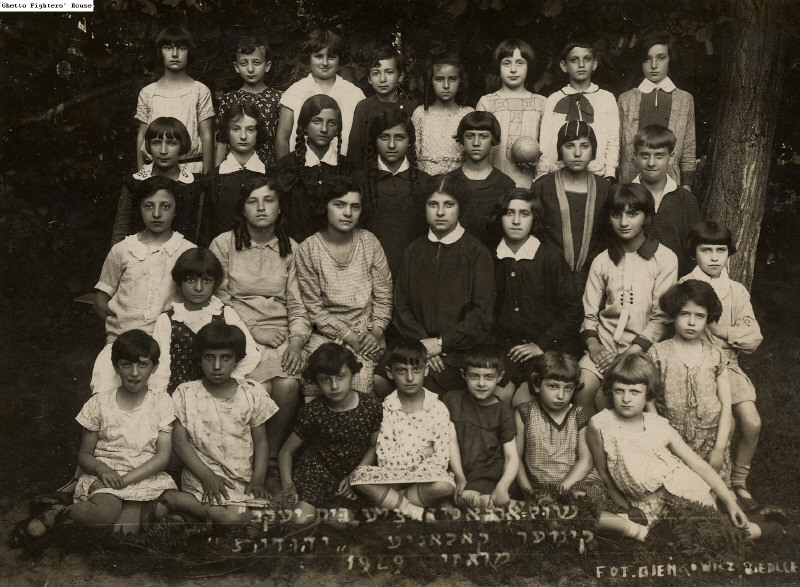 Summary: Students from the Bais Yaakov educational network in a vacation activities program in March 1929. The program was called Yehudis. Document Location: Ghetto Fighters House Archive. Item #30435. Photographed by Bienkowicz, Siedlice. Apparently photographed in Siedlce, according to notations recorded on the back of the photo by the photographer.